Halloween is an excellent time of year for crafting! Sewists, knitters, and crocheters can make their own costumes, and general crafters have an opportunity to make their own Halloween decorations and other supplies. Almost anything Halloween can be handmade. Buy the raw materials to decorate your own pumpkin, and imitate an expensive, spooky sign by making one yourself. There are so many ways to DIY your Halloween celebration! 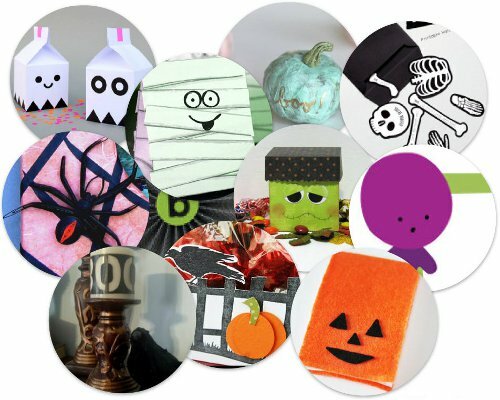 At AllFreePaperCrafts, we’ve put together an awesome collection of paper craft ideas for Halloween! 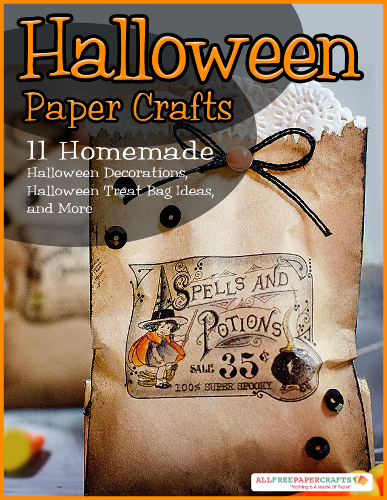 In our latest free eBook, find homemade Halloween decorations, Halloween treat bag ideas, and more in 11 Halloween Paper Crafts. Say hello to stunning. 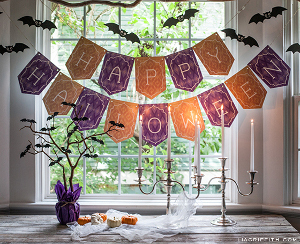 Can you believe this Happy Halloween banner starts with a free printable? 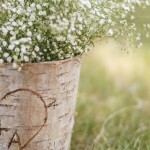 This project is absolutely amazing, and it requires little effort to make. Simply print and cut! This banner will be a gorgeous addition to your Halloween decor and it will really tie the space together. Find even more homemade Halloween decorations in our free eBook! Make adorable paper pumpkins, and spooky homemade picture frame, and more. 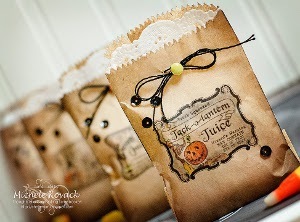 These Spells and Potions Mini Halloween Treat Bags are simply not to be missed. Who knew that Halloween treat bags could be so gorgeous? 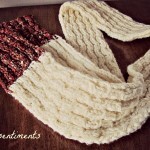 These beautiful bags are easier to make than they look. 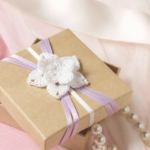 A few extra touches really make these bags special, such as the distressed edges and the lace doilies inside. 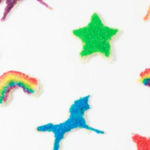 Make them for party guests or even trick-or-treaters if you’d like! This is just one of many treat bag tutorials in this collection. Be sure to visit the free eBook to check out even more Halloween treat bag ideas! This notebook is a great craft for kids and adults alike. 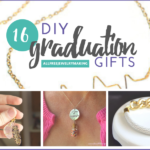 In fact, this project is great for adults to make with their kids. 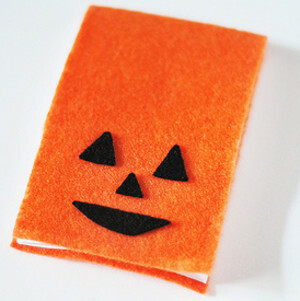 Learn how to make a notebook, and the Halloween theme is great for kids who love this holiday. The pumpkin face is an adorable touch, and the notebook itself is so easy to make. Don’t miss out on this project! Find more Halloween paper crafts and get inspired with Halloween Paper Crafts: 11 Homemade Halloween Decorations, Halloween Treat Bag Ideas, and More. Looking for even more Halloween craft ideas? Find more Halloween paper crafts in our collection of Halloween Party Ideas: 12 Halloween Paper Crafts. 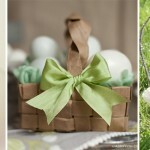 What is your favorite holiday for crafting? I have a tie…Thanksgiving and Christmas. 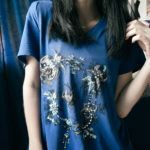 These seem to be the best family holidays, where most people are more caring and giving.